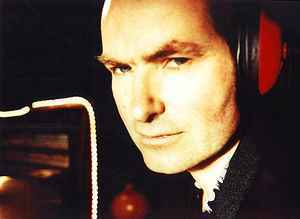 English composer, musician, producer, artist and collaborator, born 11 April 1959 in Yeovil, England. He has contributed to nearly fifty albums, toured globally with PJ Harvey, Eels and his own bands, and has written and recorded music for film, television and stage. He started his career in 1980 in the new wave band Thieves Like Us. In 1982 he formed Automatic Dlamini, with Rob Ellis. In 1986 he began his career as a producer, working with The Chesterfields, The Brilliant Corners, The Becketts... In 1987 John met PJ Harvey and it was the beginning of their long-time collaboration.